A very healthy salad option. Souer kraut is very good for those who suffer with bad digestion. 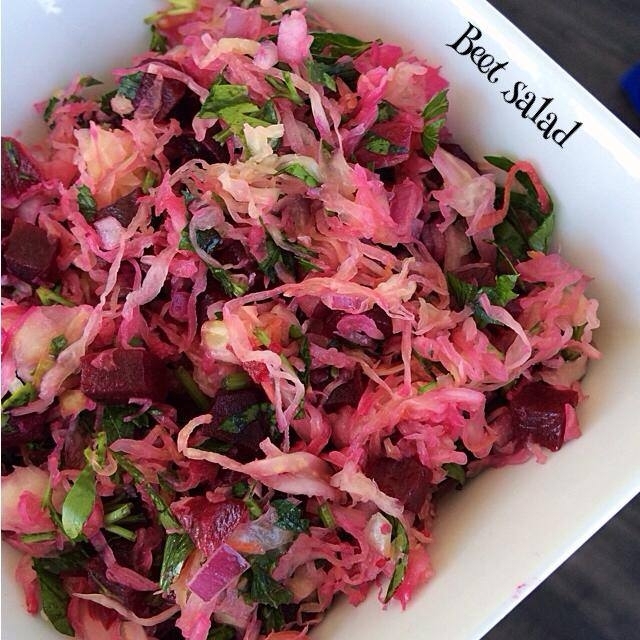 2 cups of cooked beets, 1 cup of souer kraut, 1/2 cup chopped parsley and 1 tbsp of olive oil.Mix and enjoy.